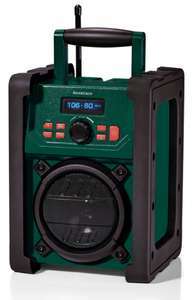 Silvercrest Rugged Waterproof Bluetooth DAB Radio £39.99 @ Lidl.
" compared to other ‘ Job Site ‘ Radios with the same or similar specs " Is it a norm for "other" to have DC in with mains adapter? And no USB power socket? Been looking around for a folding one for a long time, this should do the job, hope it helps others. 20cm wide 120cm to 150cm tall? 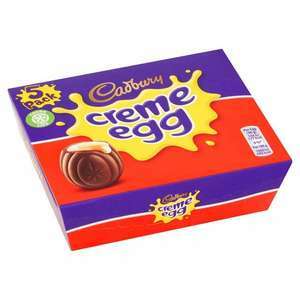 Lidl Hersham have plenty of stock left of packs of 5 Cadburys Creme Eggs down to 89p a pack. May be available in other stores. 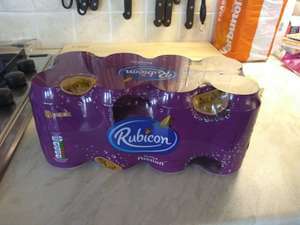 £2 for 12 in Tesco. Amazing piece of kit found in Lidl...not sure if local. What would you recommend instead pls? Personally I won't recommend it and I say it from my experience of using it. The bacon is rank, but the rest are seem pretty cheap though, if they're good quality?. Yes. That cheese is definitely only available in Scotland. I wouldn't feel too hard done by as the medium cheddar is pretty bland. Is that correct "only available in Scotland" don't want to make a wasted journey! That cheese is available in Scotland only. Thanks OP will have to pop along to local Lidl and stock up...yum! 100s available at my nearest store always. What a fantastic price. An incredible 830g of British extra mature cheddar, strength 5, for £2.39 Part of Lidl’s super weekend And available 27th and 28th April. Years ago they price increased this item it was like £3.65 now its £3.99. You can buy the smaller version (350 or 450g I think) that if you look at price per kg works out a few p cheaper. Its been this way ever since they changed the price, but never adjusted the price. I only get this size because they often have it on the weekend offer which is great value. Years ago they used to do the big red one, that was mature.. they got rid of that, replaced with a simply branded one (like smartprice) but they never have that one offer. This cheese is pretty good but often too crumbly and strong for me and I can't imagine kids like it in their sandwiches too strong. Same here. I got the Anchor extra mature from Farmfoods as it was on offer and that's not too bad. But there is a definite trend towards them all being over salted in lieu of a proper extra matured flavour. You get what you pay for I suppose. Great for the price but only buy it when it’s on offer :) if we’re paying full price buy Iceland’s extra mature stuff, so much better, imho of course ;) Always used to buy “seriously strong” the Mclelland one, but every time it was on offer the strength of it seemed to vanish, supply and demand like, churn it out to meet the offer etc. Strange that 'cos I'd say just the opposite. Very mild flavour for an "extra mature" cheese. it used to be good but not now. Aldi's is better (but not much). Has 3 small compartments, 1 medium compartment 1 large compartment. Total 5 compartments. Can carry 10kg weight. I also nabbed some!. Got lucky! These kind of clearance items are usually store only, so I wouldn't recommend anyone making any special trips to Lidl just for this. Thanks. Heat added. Plenty left at present. I got 2 this morning. Nice one.. will be there in the morning! Lidl - Bellarom Colombian Roast & Ground Coffee 454g £1.59 Was £3.19. Last day to get this coffee if you are in England - offer runs Friday to Saturday this weekend. I tried this morning and really liked it. I got a few last time they were on sale, and thought it was decent coffee. Very good coffee. Stronger brew than strength 3 suggests. Thanks for posting as always. Got two of these, no issues. Thanks! Noticed the clock had the initials DO on it and didn't realise what it was until changed to FR today. It's the day of the week and DO is Donnerstag in German. So you have to change the language, but it's easy to do. If you live in Dubai it should be ok , but it might melt . No its where he stores Alfred between shifts. I thought it was.a fridge freezer! Buy 6 bottles get 2 free. £4.79 per bottle so works out at £3.20 per bottle. This was in the Halifax store. Not sure if nationwide. Use with the £5 off a £20 shop with Amex (certain cards only) to get further discount!! Lidl has become a common sight on British high streets over the past 10 years, and has risen out of nowhere to challenge the UK’s major supermarkets. The company was actually founded in 1930s Germany, but started opening stores across Europe in the 1970s. The first UK store opened back in 1994, and there are now more than 600 Lidl stores dotted across Britain. Most people buy Lidl products from one of the company’s UK stores. To find the nearest Lidl outlet to your home or workplace, head to the firm’s website and use the Store Finder. The tool can also be used to find out the opening hours of your local Lidl, which is always useful to know. Lidl currently does not offer an online ordering service, so all customers must travel to a nearby store to make their purchases. Lidl is most famous as a seller of basic groceries at extremely low prices. Products on offer at every store include fresh fruit and vegetables, cheese, pasta, sauces, baking goods like sugar and flour, processed meat, bakery items, desserts, canned foods, frozen ready meals, breakfast cereals, confectionery, soft drinks, alcoholic drinks, crackers, milk and eggs. 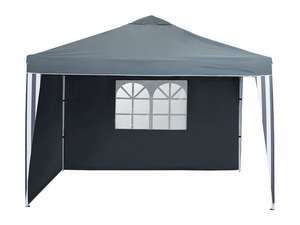 It's also a great place to stock up on beer and other party items for birthdays or sporting events. Electronics and Appliances – Includes a wide range of household items such as toasters and kettles, TV remote controls, electric toothbrushes and even blood pressure monitors. DIY Essentials – Includes power tools, DIY materials and accessories, gloves and other protective equipment. Toys and Family – Includes cut-price toys for all ages as well as party items and children’s magazines. The store also stocks plenty of children’s clothing, with designs for both boys and girls. Fashion – Lidl sells bargain clothing for men and women, including jeans, footwear, coats and jackets, dresses and t-shirts. The Wine Cellar – Showcasing Lidl’s wide range of wines. Lidl has become a major player in the UK’s wine sector in recent years, undercutting other retailers on price. You can find quality vintages from countries like France, Spain, Italy, Germany, Chile, Hungary, South Africa, New Zealand, Australia, and even the UK. 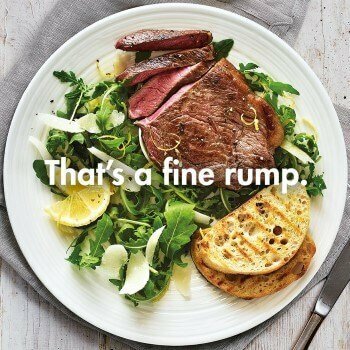 Like Meat, Love Lidl – Lidl has also branched out into providing fresh, locally sourced meat for its customers (British reared meat carries the Red Tractor logo, so look out for that when you shop). Fish – Lidl stocks a range of seafood products, all of them assured by the Marine Stewardship Council, making sure that they come from sustainable stocks. You can find almost any kind of seafood at Lidl, even luxury items like crab and lobster. Lidl also provide services, including a photo printing service at www.lidl-photos.co.uk, allowing customers to print out digital snaps and turn them into professional photo albums. The website at lidl.co.uk also holds extensive recipe pages where you can get inspiration for your next meal from the world´s most popular kitchens, such as American, Asian, British, French, Greek and Italian. Many of Lidl’s products are produced specifically for the supermarket chain and carry their own unique branding. This allows Lidl to reduce the costs of production and offer products of a similar quality to other supermarkets at a fraction of the price. Finding great deals at Lidl should be simple. After all, it is one of the world’s biggest cut-price retailers. 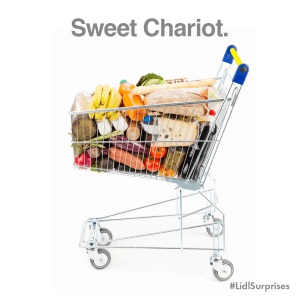 However, you can actually save money on in-store prices by checking out the latest deals before at www.lidl.co.uk. The Our Offers section of the website includes all of the latest deals from Lidl, with weekly offers on fresh fruit and vegetables, DIY essentials, electronics and other items. Many of the offers on the Lidl website are timed to coincide with seasonal events like Christmas, Easter and Bank Holidays, so when you are planning a get together, check out their deals to save money on party essentials. Many of these mini-sales can be found at the Sensational Deals section of the Lidl website. This also includes the Pick of the Week and sections devoted to summer snacks and children’s football products. 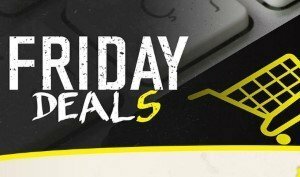 Be sure to check out Lidl’s sales pages, social media and HotUKDeals listings as Black Friday approaches in late November. Along with many high street names, Lidl will be offering big discounts on Black Friday, so don’t miss out. Lidl customers can pay by cash or major credit and debit cards. The company’s in-store checkouts can process contactless payments, helping to make the payment process faster. Each checkout area also includes a packing bench to make it easier to organise your shopping after payment. For food items purchased from Lidl, customers can return any items that they are not happy with up to 30 days after purchase (providing they are within the best before date). The store will then provide a full refund. If you return food items after the 30 days have elapsed, a replacement may be provided instead. Always remember to take your receipt with you when you seek a refund. Lidl also allows customers to request a refund for defective non-food items. If you are unhappy with a non-food item, you have 12 months to return it to a Lidl store. To return a non-food item, you will need proof-of-purchase. When you have found your receipt, take it with the item(s) to a Lidl store and you will be provided with a replacement or a full refund. If a fault develops with a non-food item after the 12 months have passed, you may still be able to secure a refund or replacement. To seek a refund in this case, contact Lidl’s customer services team on 0800 9777766 or 0370 4441234 (Monday to Saturday from 8:00-20:00, Sunday from 10:00-17:00). A staff member will discuss the next steps towards securing a refund. You can also request a refund for any non-food items that you don’t want within 30 days of purchase. However, any items must be returned in their original packaging and you must supply your receipt. My Lidl is another source of information about Lidl’s products and promotions. It includes regular recipes, activity suggestions and product reviews as well as links to Lidl’s brochures and leaflets. Customers can also join groups or chat forums on My Lidl that deal with specialist areas like wine, gardening and cookery. Lidl also issue a regular newsletter to subscribers, featuring product updates and brochures, and you can sign up on their website. Lidl have created a handy app to make shopping at their stores even easier. The app includes a store locator with easy to follow maps, a product search function, the ability to bookmark your favourite products and Lidl Explore, to find recipes and product videos. You can download the app for Android phones at the Google Play Store or for iOS devices at the iTunes Store. If you want to get in touch with Lidl the best way to do so is by calling their customer service team on their telephone number at 0800 9777766 or 0370 4441234 (Monday to Saturday from 8:00-20:00, Sunday from 10:00-17:00). You can also email customer services at customer.services@lidl.co.uk or fill in an online contact form. For most simple queries, the help resources on Lidl’s UK home page should be sufficient. They also have a Lidl size calculator making the purchase of ill-fitting clothes history. Lidl is a huge retailer. For many people they are the first-stop when they are shopping for items like food and drink, cleaning products and other household essentials. They may already offer low prices, but customers can enjoy even bigger savings by checking out the deals on offer at the Lidl hotukdeals pages.